Lane Graves of Elkhorn, Nebraska. 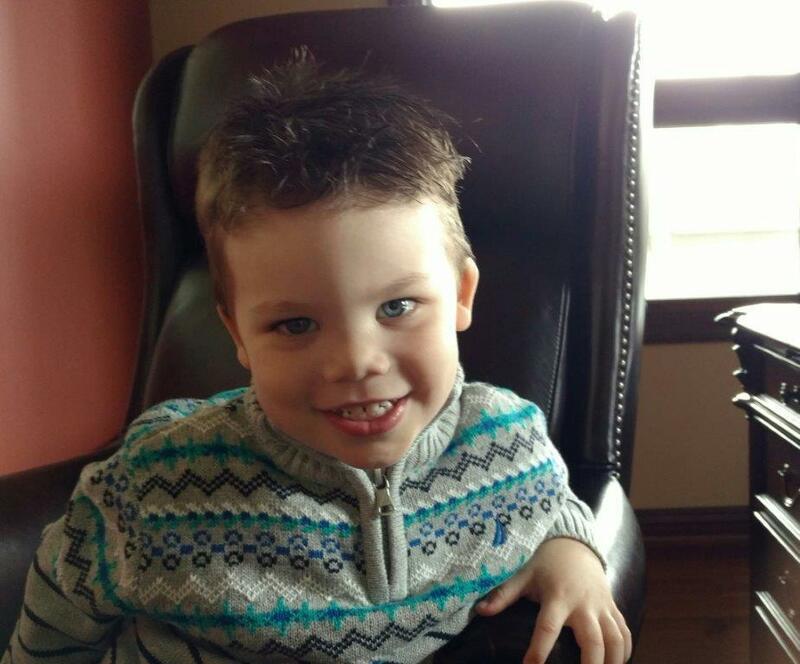 LAKE BUENA VISTA, Fla. — A sheriff said charges are unlikely against a Nebraska couple after an alligator killed their 2-year-old son by snatching him out of shallow water at a Walt Disney World beach, but the entertainment giant is reviewing whether to add gator warning signs. Orange County Sheriff Jerry Demings told The Associated Press after a news conference Wednesday there was no indication Will and Melissa Graves of suburban Omaha, Nebraska, committed any crime that contributed to the reptile grabbing their son, Lane Graves. ‘‘There’s nothing in this case to indicate that there was anything extraordinary’’ in terms of neglect by the parents, Demings said. 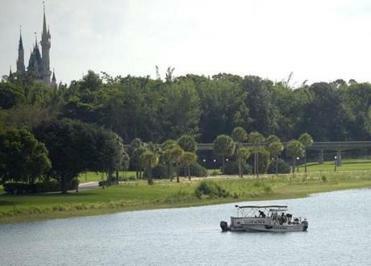 Demings said his department and the state wildlife agency would look into the issue of signs around Seven Seas Lagoon, where Disney had posted ‘‘no swimming’’ signs but no warnings about the presence of alligators. Searchers removed five of the reptiles from the water while looking for the child, who was attacked at a small beach area near nightfall Tuesday. A Disney representative, speaking on condition of anonymity because the company had yet to prepare a formal statement, said Disney would ‘‘thoroughly review’’ the sign issue in the future. Beaches that were closed during the search remained off limits to visitors, the company said. RELATED: How rare are deaths by alligator attack? Between 1999 and 2014, nine people nationwide were killed by being struck or bitten by either an alligator or a crocodile. Read: What animals have killed children? ‘‘Of course the family was distraught, but also I believe somewhat relieved that his body was found intact,’’ Demings told a news conference. 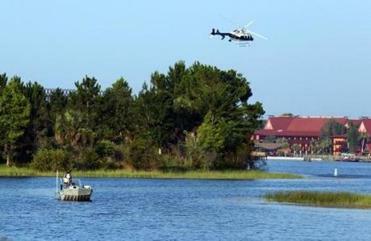 Florida Fish and Wildlife Conservation Officers are searching the system of lakes and ponds linked by canals to the Seven Seas Lagoon where the boy was attacked. In the family’s hometown of Elkhorn, Nebraska, friends and neighbors reacted with disbelief and shock. The principal of their church parish described the Graves parents as caring and attentive parents. ‘‘The St. Patrick’s Parish and school community is just flat out devastated,’’ Norman Hale, principal of St. Patrick’s Parish Catholic School, told Omaha station KMTV. In a statement from Disney World Resort President George A. Kalogridis, the company said it was ‘‘doing what we can’’ to help the family. Though Florida has grown to the nation’s third-most populous state, fatal alligator attacks remain rare. Before the child’s death, 23 people had been killed by wild alligators in Florida since 1973, according to Florida Fish and Wildlife Conservation Commission statistics. The grim news was only the latest for Orlando, a city struck by tragedy in the past few days. On Sunday, a gunman opened fire at a gay nightclub in Orlando, leaving 49 people dead in the worst mass shooting in modern U.S. history. 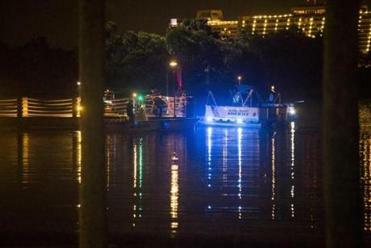 An alligator pulled a boy into the water Tuesday night near a Disney resort in the Orlando area. On Friday night, Christina Grimmie, 22, a contestant on season six of ‘‘The Voice,’’ was fatally shot as she signed autographs after a show in Orlando. ___ Associated Press writers Joshua Replogle in Lake Buena Vista, Florida; Freida Frisaro and Jennifer Kay in Miami; and Margery Beck in Omaha, Nebraska, contributed to this report. Associated Press writers Joshua Replogle in Lake Buena Vista, Florida; and Freida Frisaro in Miami contributed to this report.